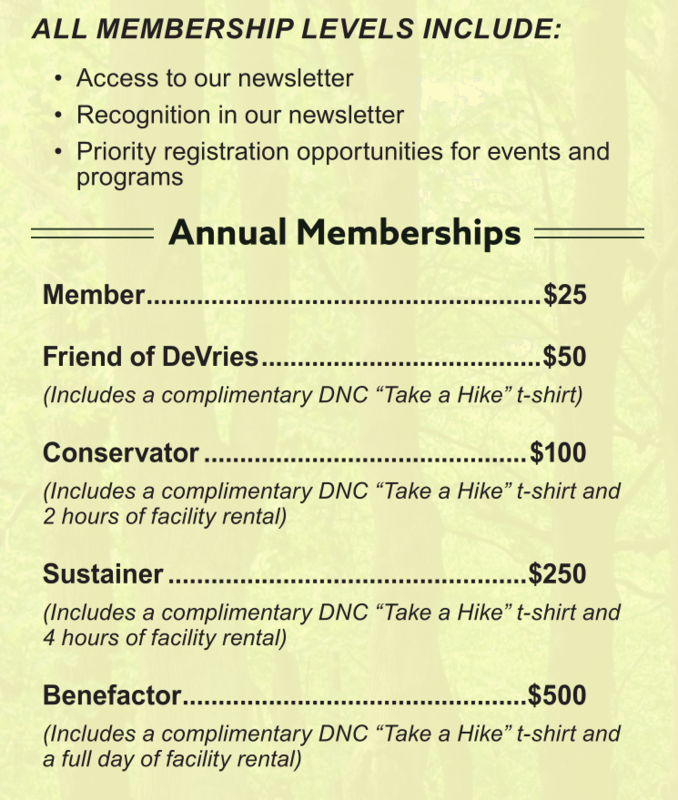 Thank you for your interest in becoming a member of DeVries Nature Conservancy! As a small nonprofit organization, we strive to make the deepest, longest lasting connections we can between our community and nature. 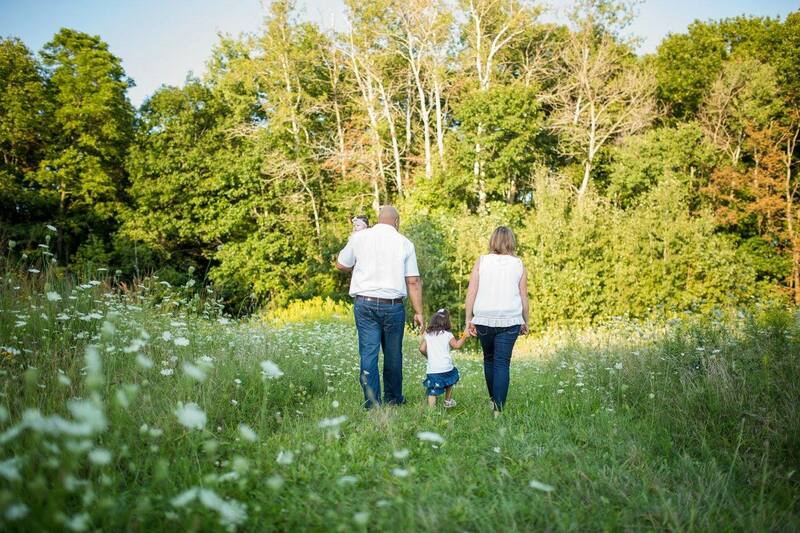 None of the work we do to fulfill our mission and realize the vision of the DeVries family would be possible without the on-going support of our members. Member fees help us to offer our 136 acre grounds, trails and Nature Center to the community free of charge, as well as to host community events, programs and workshops throughout the year to educate our visitors about biology, ecology, land stewardship, conservation, nutrition and local heritage. All our members get access to our newsletter and priority registration opportunities for our programs and events. We offer several different levels of annually-renewing membership, some of which come with additional benefits. If you would like to become a member, go here to sign up online. You can also print out a membership application form to sign up by mail. For more information on facility rental, check out the Rent Our Facilities page.